One of the most anticipated parts of the season, at least for my fellow foodies, is enjoying delicious meals that are best eaten in the summertime. June through August gives us some of nature’s best fruits such as peaches, pineapples, and watermelon, and there are so many flavors that we associate with that time of year. While there is nothing better than sitting on the porch taking in the tastes of summer, nobody wants to spend an hour grilling in the sun or chopping up produce. To solve this dilemma, here are some quick and easy recipes perfect for enjoying on lazy summer days. This does require you to spend some time over the grill, but it’s quick, and the results make it worth the while. Preheat a grill to between 375-400 degrees. 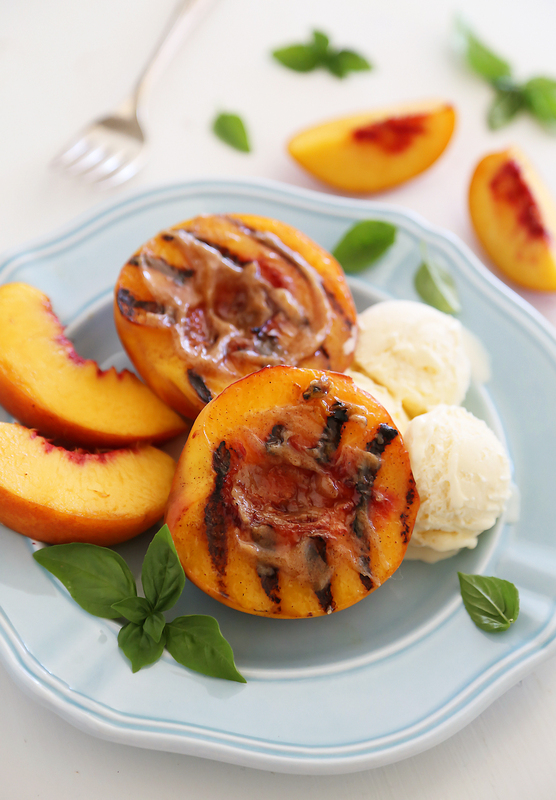 Cut your peaches in half so that you have six halves. Brush both the peaches and the grill with olive oil and grill face down until you see grill marks (about 3 minutes); then flip over for a little while longer until they become soft but are not falling apart. Remove from the grill and give it a generous scoop of ice cream. Drizzle with honey and sprinkle on some granola. If you want to add some professional flare, top each peach halve with a raspberry and two fresh mint leaves. This recipe is ideal for a hot summer day when you want a sweet but healthy snack to cool you off. It will keep in the fridge for five days, but it probably won’t last that long. Cut up all the ingredients and stir together in a medium bowl. Taste your salsa and adjust flavors as desired. If you want to add a little more sweetness, sprinkle in some granulated sugar. These are best served with tortilla chips. This is definitely a little more time consuming, but it is a perfect dinner to make for your whole family. If you’re willing to spend a little more time out on the grill, this dinner will be a huge crowd pleaser. Whisk the soy sauce, sesame oil, brown sugar, ground ginger, red pepper flakes, garlic, ketchup, and pineapple juice until well combined. Pour this marinade over your pork chops and let it sit for ten minutes or overnight. Heat the grill to medium-high and spray with non-stick cooking spray. Plate meat and pineapples rings on the grill and reserve the marinade or the sauce. Grill for four to five minutes on each side, rotating to give them good grill marks. This may take more or less time depending on your grill, so use a meat thermometer to ensure each piece reaches 145 degrees. Rest your meat for at least ten minutes. While it rests, whisk cornstarch into marinade and pour into a saucepan. Place over medium heat until it starts bubbling, then reduce to low until the sauce is thick. Top your meat with the sauce, a pineapple ring, some chopped scallions, and enjoy! This dish would pair well with rice and grilled vegetables if you would like to make it into a full dinner. For those unbearably hot summer days, it’s always nice to sip on a cool drink. 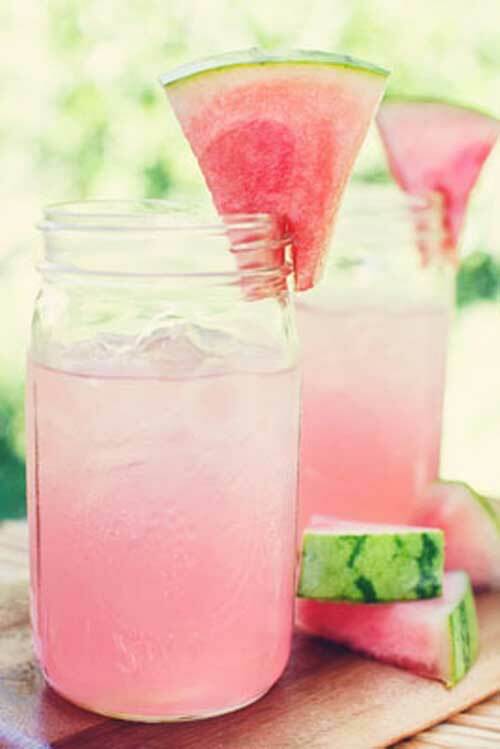 This watermelon drink is sure to keep you refreshed in the heat! Put all ingredients in a blender and blend until smooth. Enjoy! 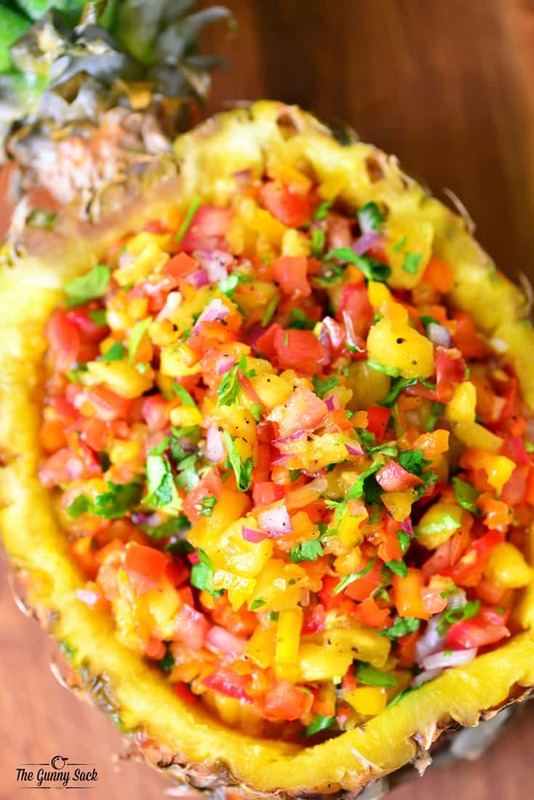 These recipes perfectly embody summer and its delicious produce. Experiment with some of these fun and fresh flavors to add a delicious twist to your summer break!